Everywhere I travel, and every time I speak, someone asks me about trends in publishing. What’s hot, and what’s not? What’s up, and what’s down? Frankly, I don’t follow such things very closely. And even if I knew the answers, I probably wouldn’t tell you. Not because I rejoice in thinking I know something you don’t know! (OK, maybe just a little), but because I wouldn’t want you to misuse the information. Let’s say that you have a gift for writing adult thrillers, but YA fantasy is all the rage this quarter. Should you now start writing YA fantasy? This commentator votes no. Chances are that once you identify a trend, it has probably passed you by. Dozens or hundreds of titles are now in the pipeline, and the publishers are in no hurry to sign more. I say, write what you feel led to write, but be realistic about your prospects. Adult thrillers will come around again. A strange trend I’ve witnessed in the past year or so, is more personal. I don’t know whether this represents the market as a whole, but a couple of my agent colleagues confirm it. That is, aspiring authors are becoming more and more cautious about signing contracts for agency representation. They politely thank me for my interest, but they want to have my contract vetted by an attorney before they sign. Of course, I naturally feel defensive. I know I’m a nice guy, and that my contract is fair and honest. I’ve had it reviewed by a few fellow agents and IP lawyers; pretty standard for the industry. But do I argue? Of course not. I say, go out and get all the advice you need, before you sign on the dotted line. Better to have this discussion now, than a year from now. The thing is, nothing in an agency contract is regulated by law, anywhere in the United States. Anything that two consenting adults agree on, is permissible. So all that really remains to be determined now, is whether we can agree on terms. So the authors get a pile of advice from their lawyer, and return to me with a dozen questions and edits on the contract. They want the right to decline a publisher offer, fire me, and then accept the offer later without me. Or find a deal on their own, and exclude me from it. They try to withhold subsidiary rights, which could quickly cause a publisher to lose interest. Some of those changes are simply not in my power to grant, and belong in a publisher contract instead. All in all, it means they want to send me into battle with one hand tied behind my back. The publisher and I both must work harder to earn less. Now, how about your publisher deal? Again, nothing in that contract is regulated by law. Sure, a lawyer can identify lots of potential enhancements on that deal, but he won't negotiate it for you. Do you know how? Do you have the platform to back it up? Unlike an agent, that lawyer doesn’t have an ongoing relationship with you. For that reason, he has no frame of reference to know what’s reasonable to ask for, given the totality of your situation. And unlike an agent, he has no skin in the game. He can rack up his billable hours and walk away. Make no mistake, I will never tell a prospective client, “trust me.” I’m all in favor of informed consent, due diligence, and asking lots of questions. And I value my relationships with lawyers who know more than I do, and keep me out of trouble. But if I can’t get a reasonable return for my efforts – and you set yourself up for rejection by publishers – I can’t help you. I think you are reasonable and easy to work with! 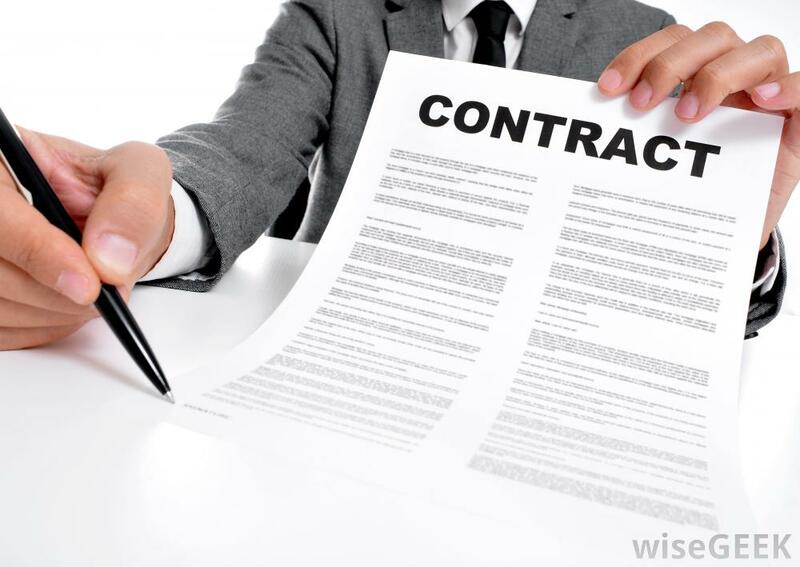 I can't imagine signing any contract without having a lawyer look at it so I know for certain exactly what I'm signing. I did that when I signed with my publisher. I took the contract, read it, wrote down what I thought it said, and sent it all to a lawyer. He came back with notes on my notes to show where I fully understood the contract and where I had missed a point. I decided it was a reasonable contract, and I signed. But since I don't speak "legalese" or even pidgin "legalese" I didn't want to think I was signing for one thing and discover later that I'd agreed to something else. I imagine that if I had run across something I couldn't sign, I would have just said, "Due to xyz part, I don't think this is the contract for me." I'm not a negotiator. I wouldn't have asked them to change their offer. They could choose to do so, but I wouldn't have expected it. I can't imagine doing that with an agent, either. It sounds to me like you have inadvertently discovered a "difficult client" test. The contract. Well done. Chautona, I think you know a few experienced authors who have signed a few contracts. I suspect that, for the price of a salad at Panera Bread, they could look it over for you. There is so much bad information out on the Internet that budding new writers are getting burned and putting themselves in hot water along the way. I appreciate this blog. It is a light in a dark tunnel of bad information. Attend a few conferences and educate yourself, Joshua. Might even be fun. If, as you say, "hot" topics may be hot for only one business quarter, then you CAN'T expect to write on a "hot" topic and ride a wave of popularity. There is no way to write a book, get it edited and published and on the market within three months, even if you self-publish! What you have to do is write what you feel called to write, and maybe you'll hit a popularity wave when it goes on the market. And maybe you won't, but the book may sell pretty good, anyhow, and you'll create your own wave.